Judge Abrams has been consistently active in the community, boasting membership on the following boards: United Way of St. Mary’s County, Calvert Marine Museum and Calvert Marine Museum Society, St. Mary’s Nursing Center Foundation, Patuxent Tidewater Land Trust, and Historic St. Mary’s City Foundation. 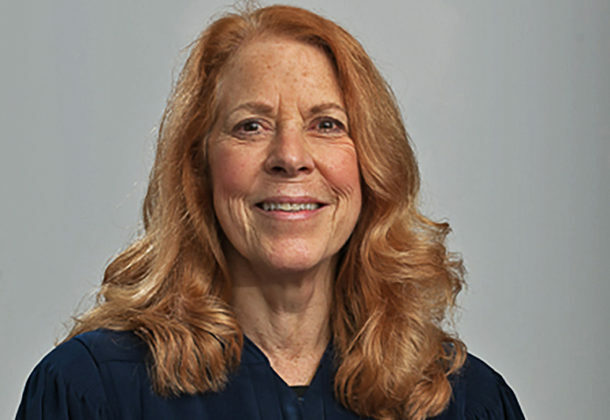 In her extensive career, Judge Abrams has served with the Inquiry Committee of the Attorney Grievance Commission, the Public Defender Regional Advisory Board, the Maryland Council of School Board Attorneys, the Attorney Character Committee for St. Mary’s County, and the Family Violence Coordinating Council. Judge Abrams’ involvement was crucial to the founding of the St. Mary’s County Substance Abuse Recovery Court. The Substance Abuse Recovery Court promotes abstinence from narcotics while addressing the unique needs of people who have both criminal records and addiction problems. Along with a team of professionals she has recruited, Judge Abrams and the recovery court have reduced the rates of incarceration and recidivism. This has a huge benefit to the taxpayer: St. Mary’s County government has seen a cost savings of $84 per person per day, and more than $25,000 per person annually. Judge Abrams has an extensive and varied professional background that is reflected in her approach to seeking creative, compassionate solutions to difficult situations. With the heart of a social worker, the intellect of an attorney and the discernment of a judge, Judge Abrams has improved the lives of St. Mary’s County citizens in many ways. In 23 years of practice, she represented many private and corporate clients, as well as the St. Mary’s County Board of Education, St. Mary’s County Board of Elections, St. Mary’s Nursing Center, St. Mary’s County Alcohol Beverage Board, St. Mary’s Home for the Elderly, and the town of Leonardtown. Judge Abrams is a member of the Seventh Circuit Trial Courts Judicial Nominating Commission, the Inquiry Committee of the Attorney Grievance Commission, and the Conference of Circuit Court Judges, as well as the American Bar Association, Women’s Bar Association of Maryland, Maryland State Bar Association, St. Mary’s County Bar Association, and Maryland Bar Foundation. Judge Abrams has been named a recipient of the Daily Record’s Leadership in Law Award. Judge Abrams will be recognized as a Visionary Woman at the Commission for Women’s annual banquet March 14, 2019, at the Southern Maryland Higher Education Center at 44219 Airport Road in California.